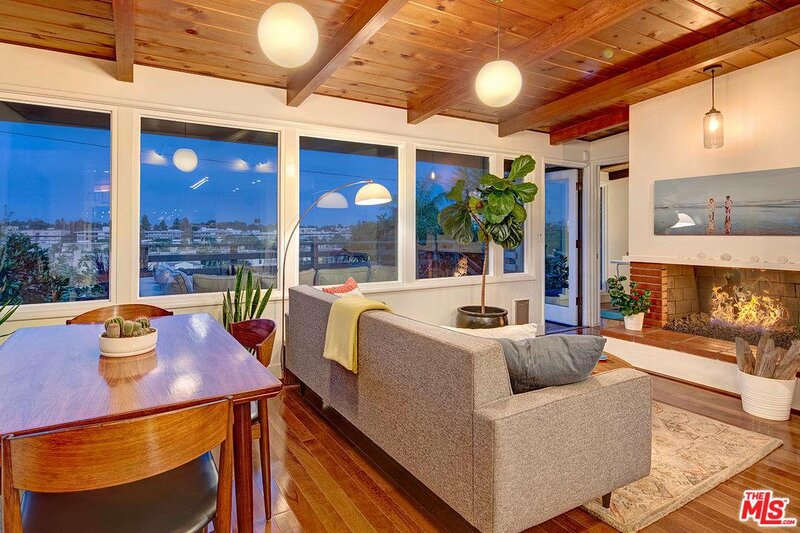 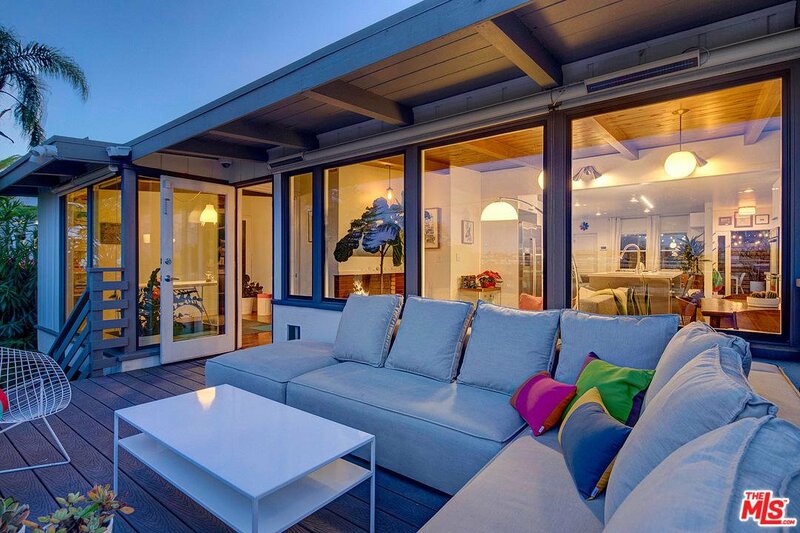 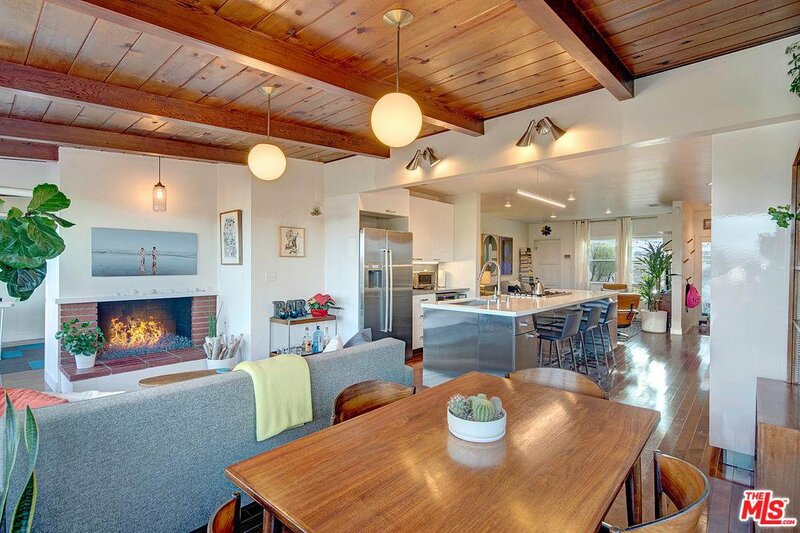 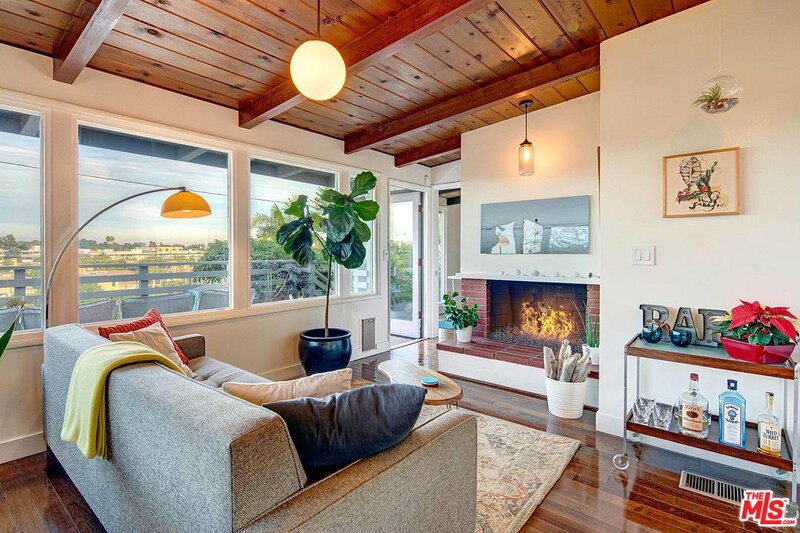 This California Bungalow w/ a warm modern vibe sits atop Playa Del Rey w/ stunning panoramic views from Marina Del Rey to the San Gabriel mtns. 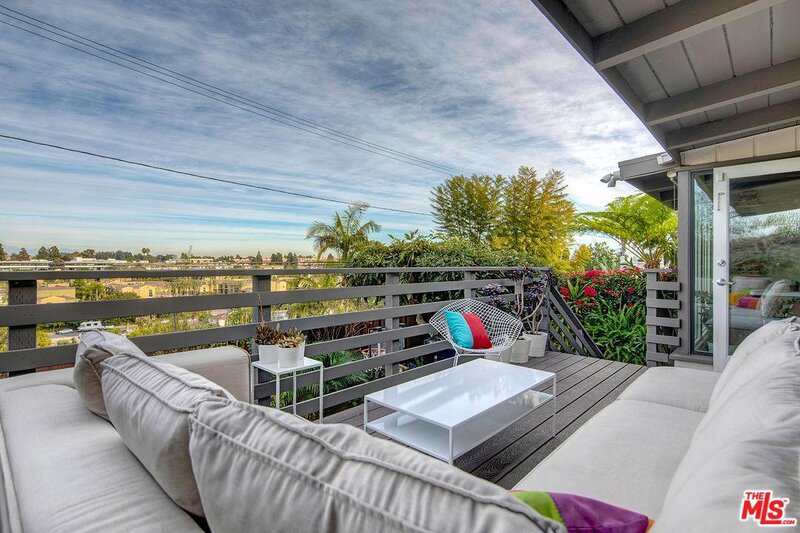 Greeted by a private enclosed patio entry w/ space for dining & entertaining. 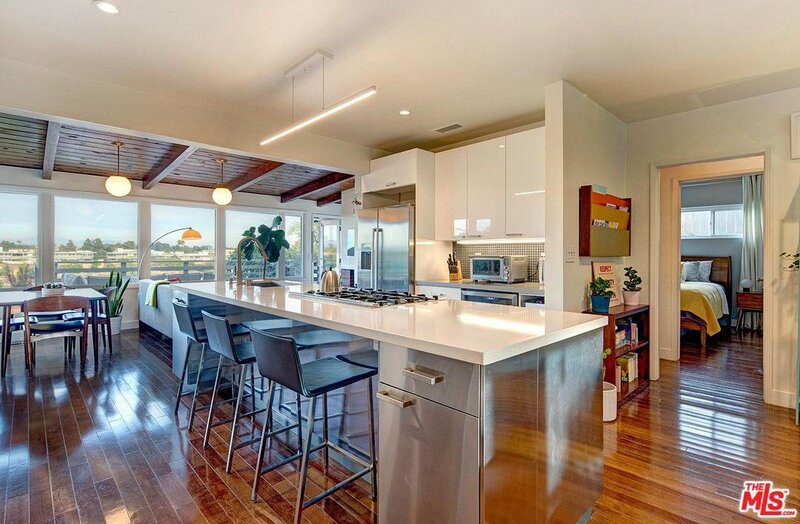 The entry way guides you to the living rm & open ktchn w/ brkf bar. 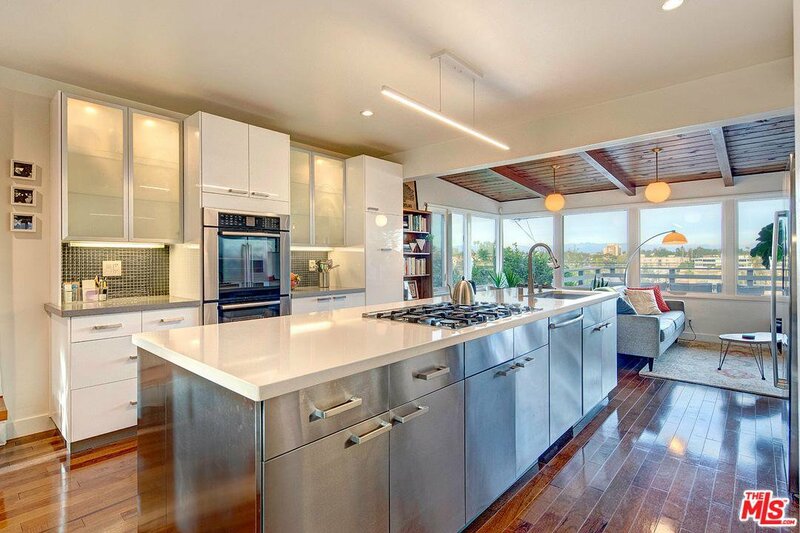 All high end appl complete the Cook's ktchn feat a Bosch refrg, 30in dbl convection oven, dishwasher, Bertazzoni gas cooktop & 40 bottle dual zone wine fridge. 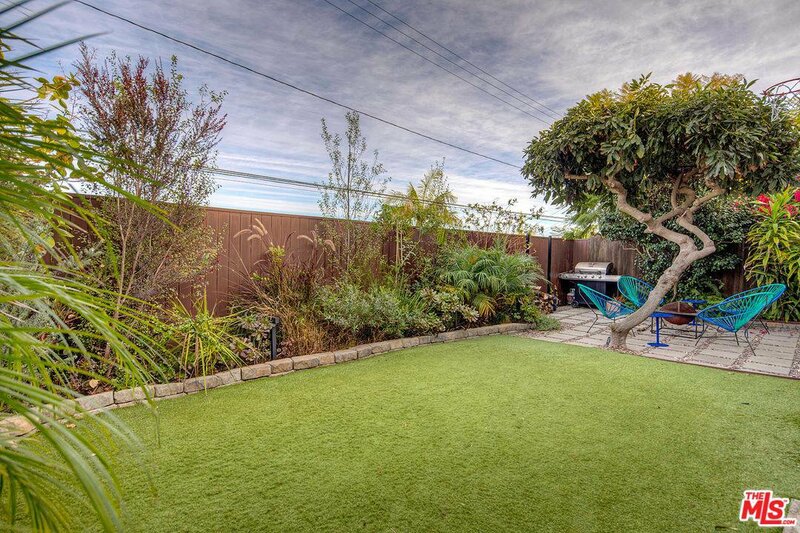 The sun-filled dining area & family rm w/ cozy fireplace look out to back deck w/ lush garden, grassy yard, avocado, orange & lemon trees overlooking the beautiful scenery. 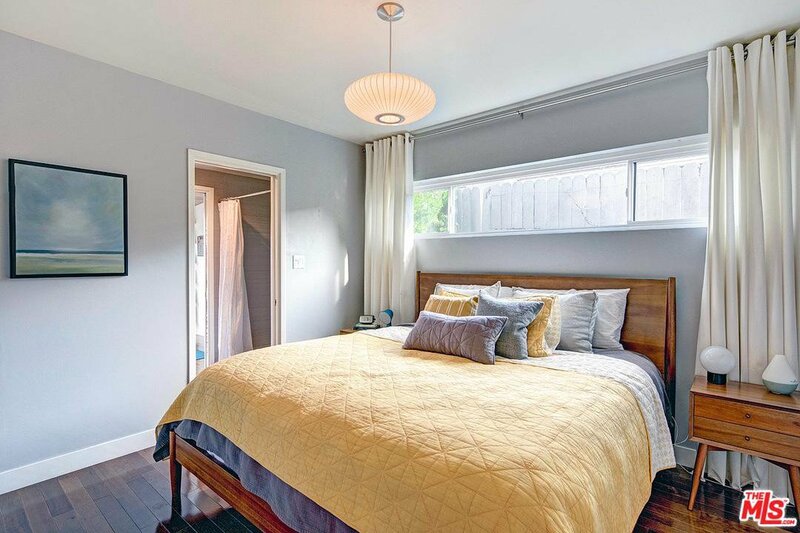 Interior feat incl Caesarstone countertops, hdwd floors, beam ceilings & alarm sys, Nest & hardwired Ring camera, along w/ new central A/C, windows & solar panels. 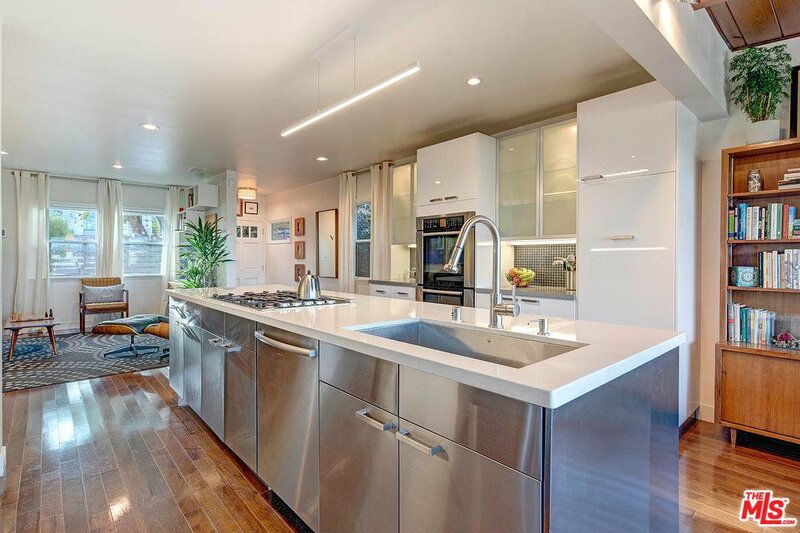 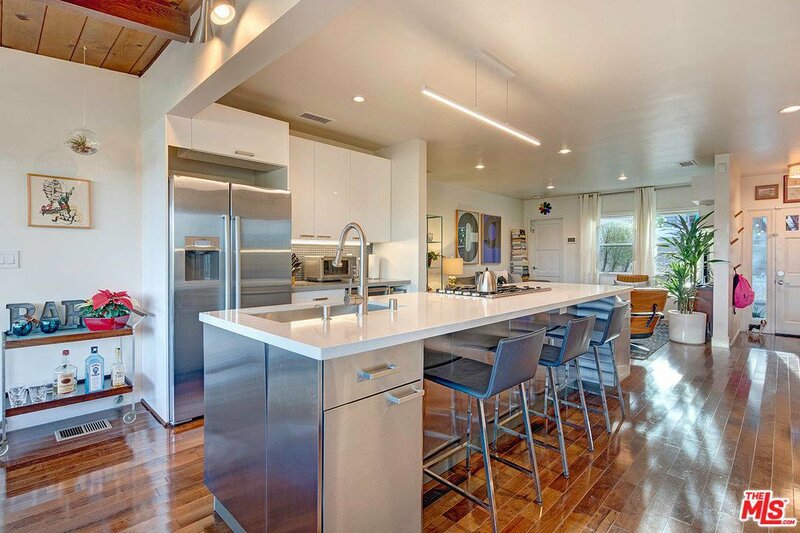 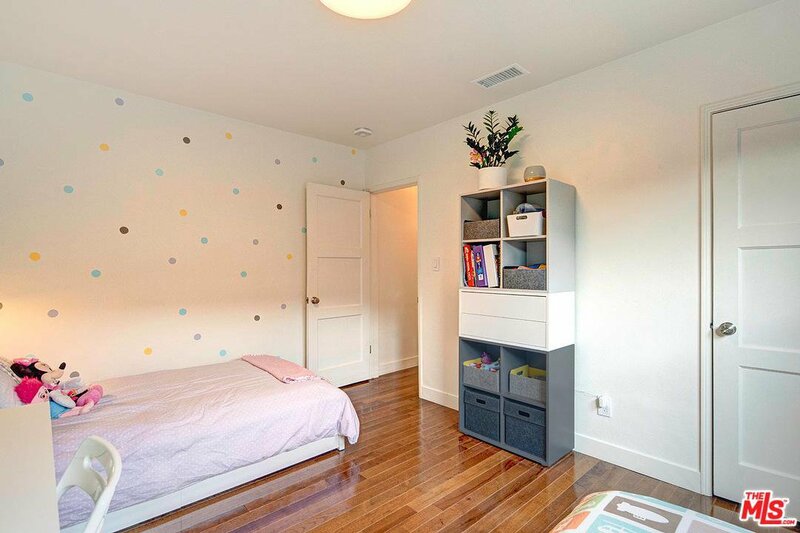 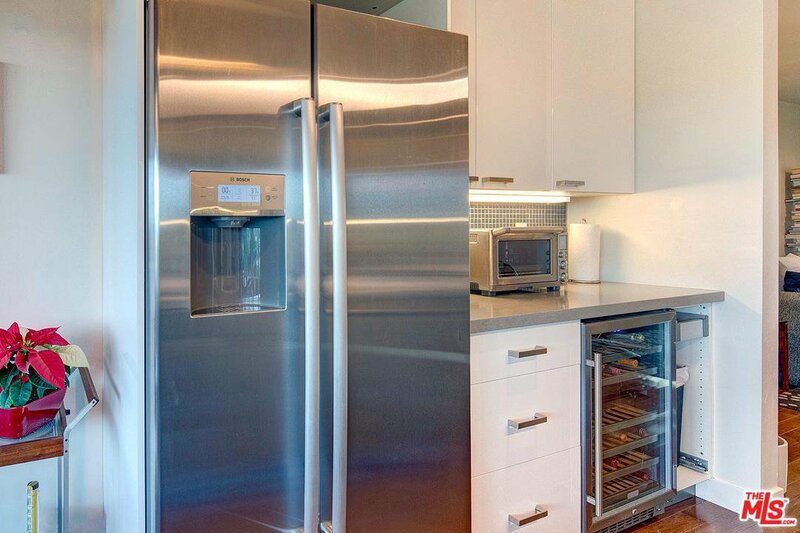 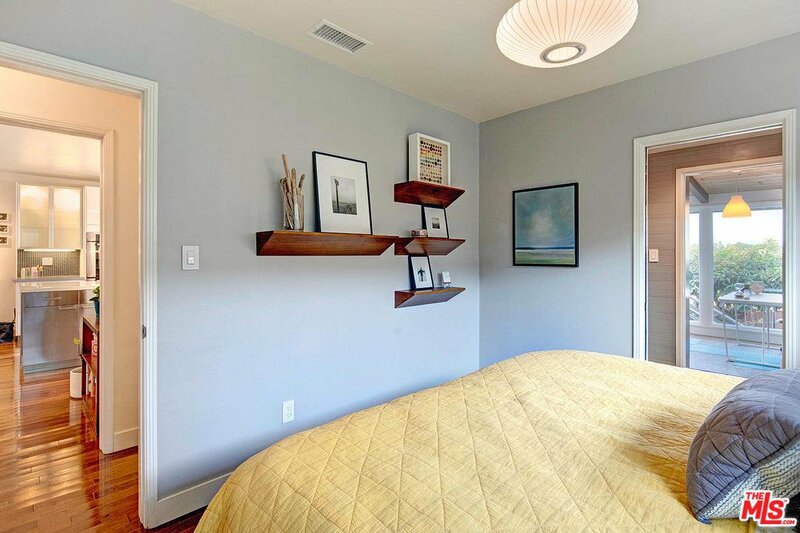 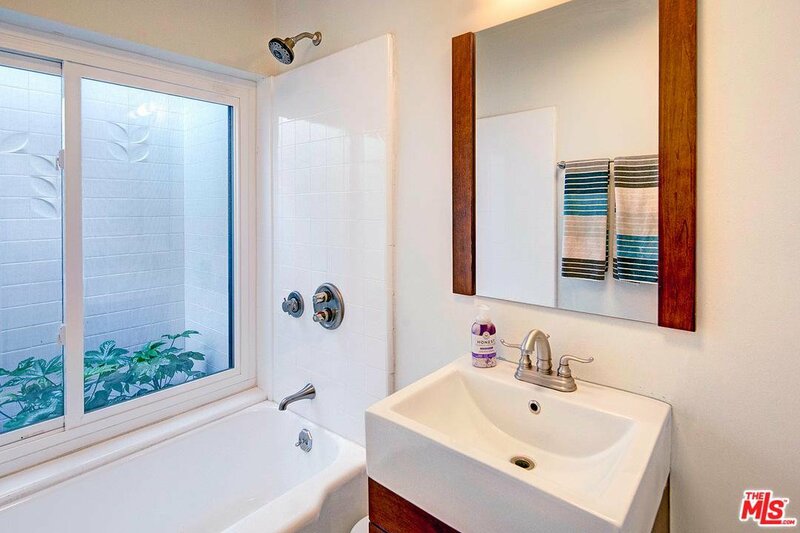 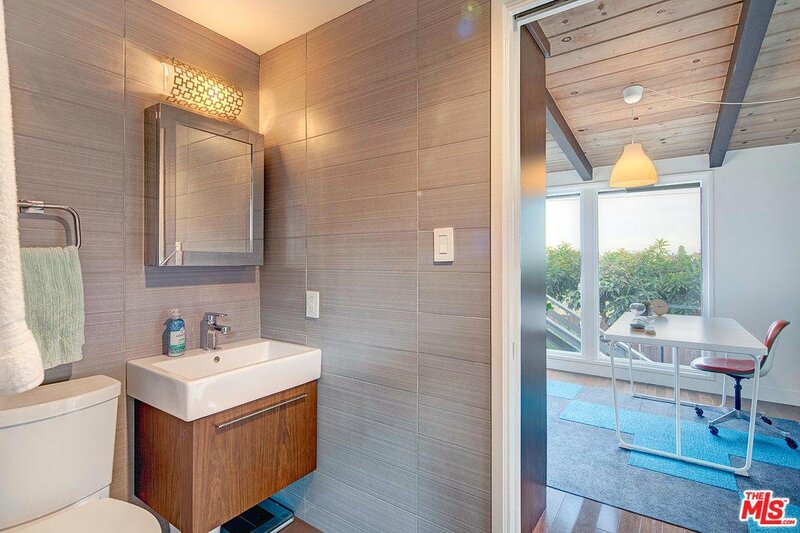 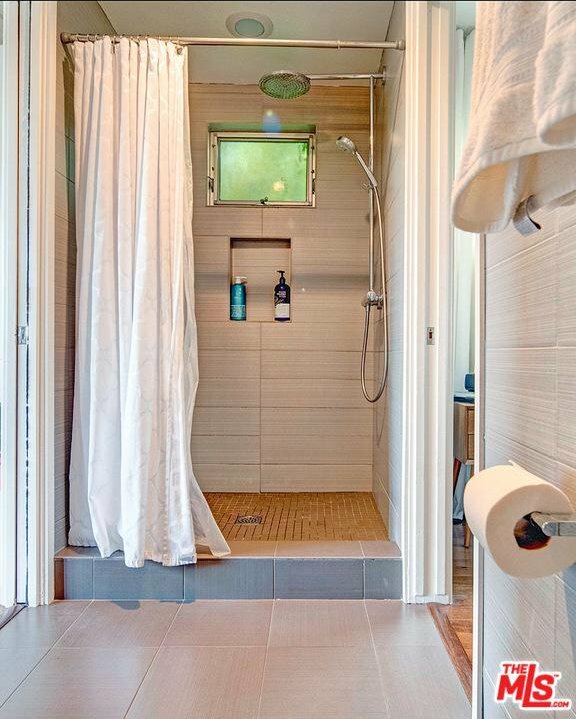 3 spacious bdrms, a guest bth & master bth w/ Hansgrohe rain shwr & massager cmplt this stylish & sophisticated home. 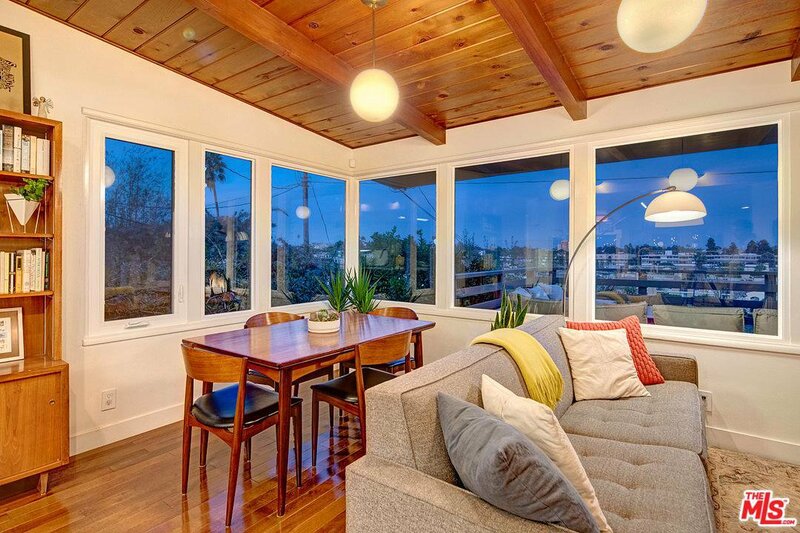 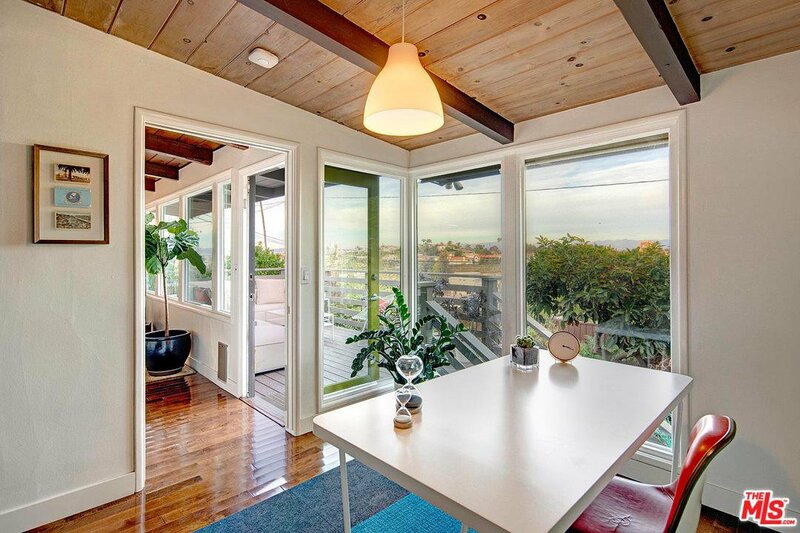 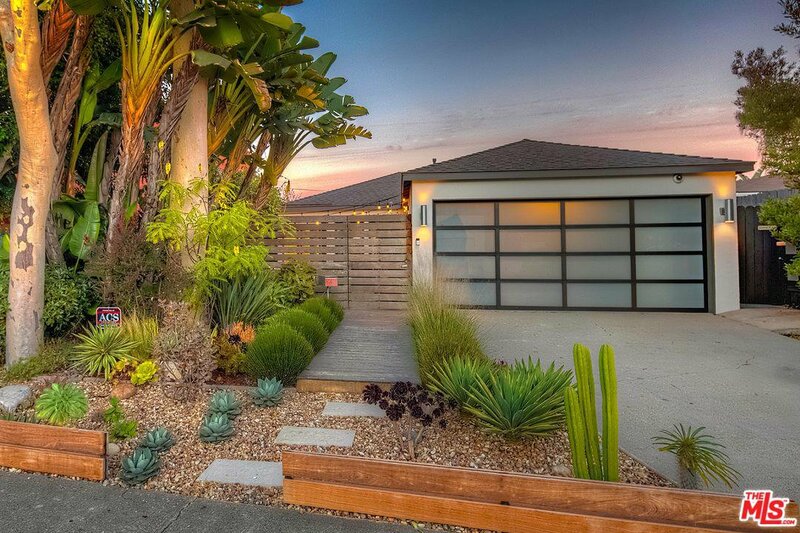 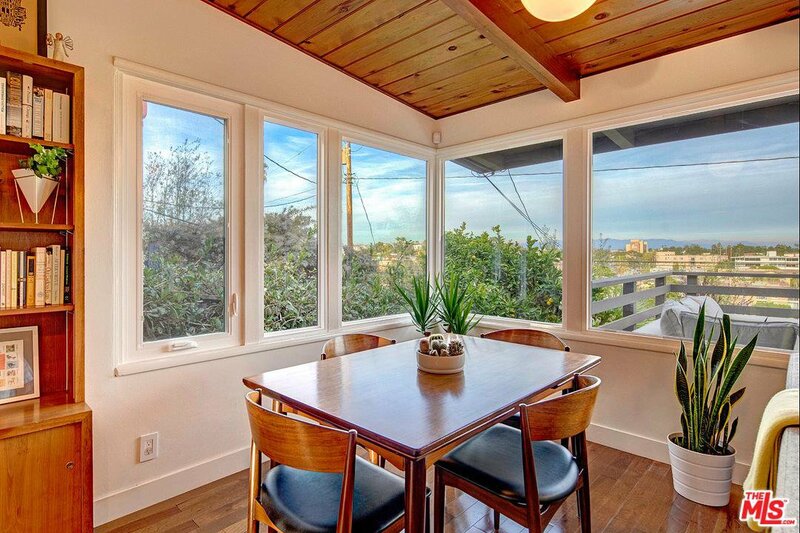 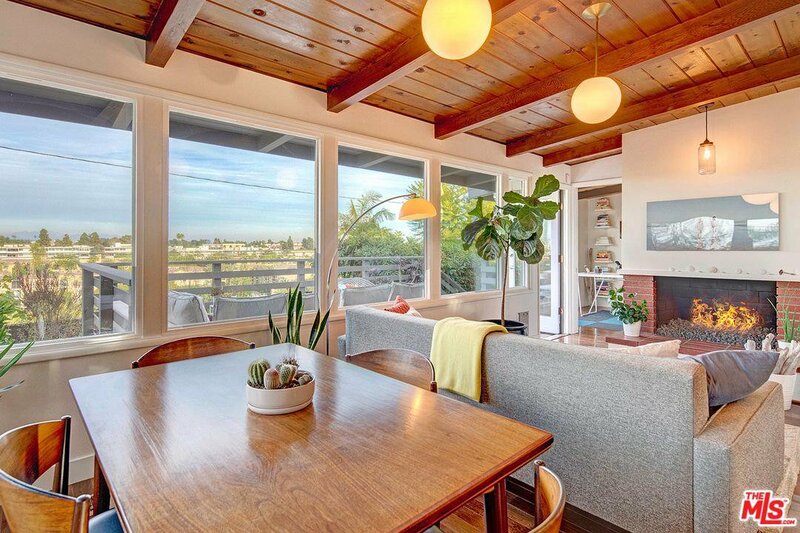 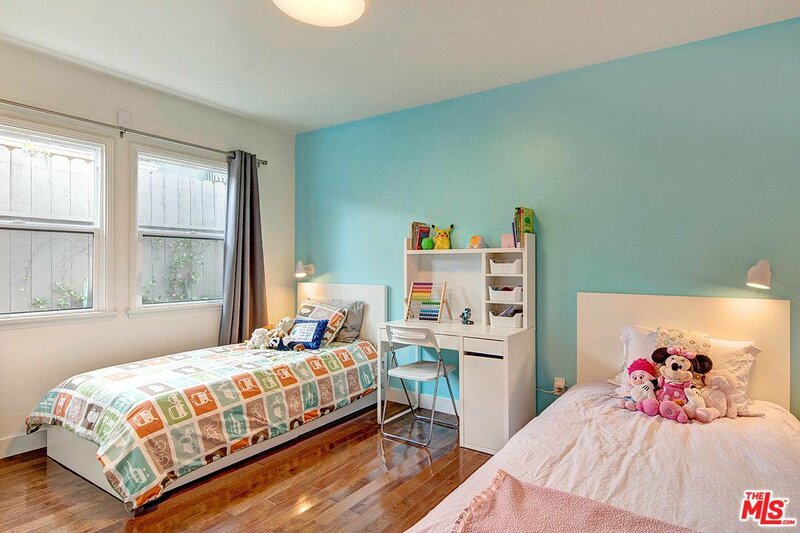 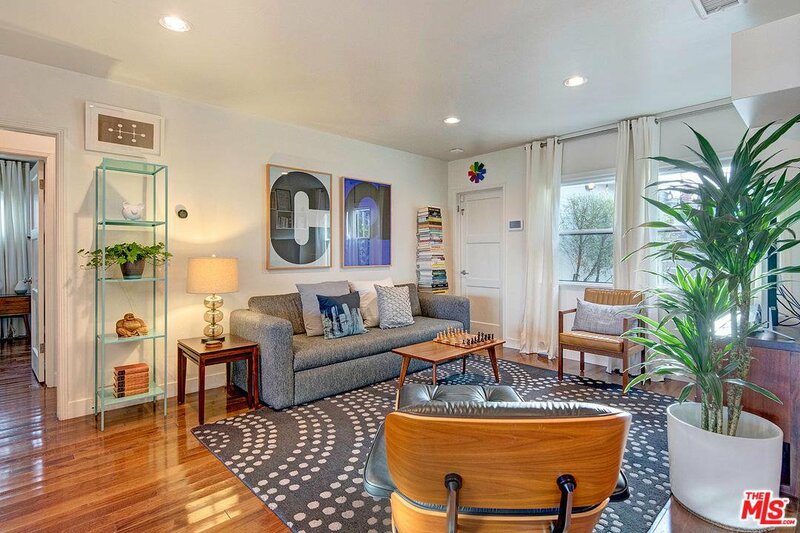 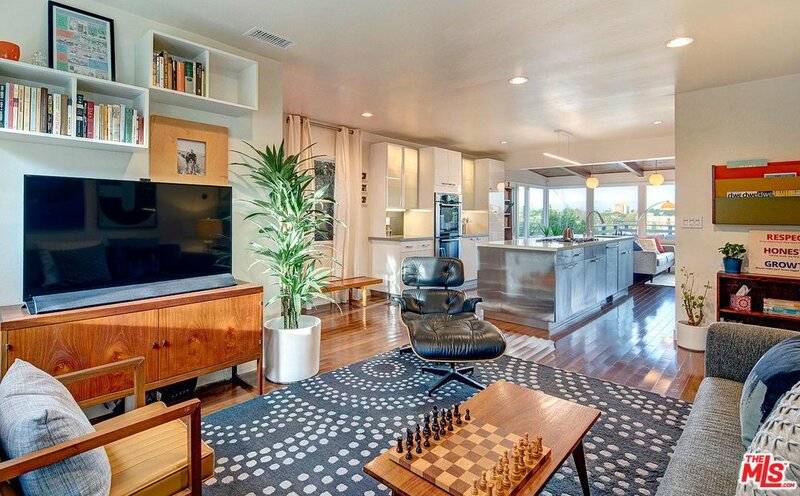 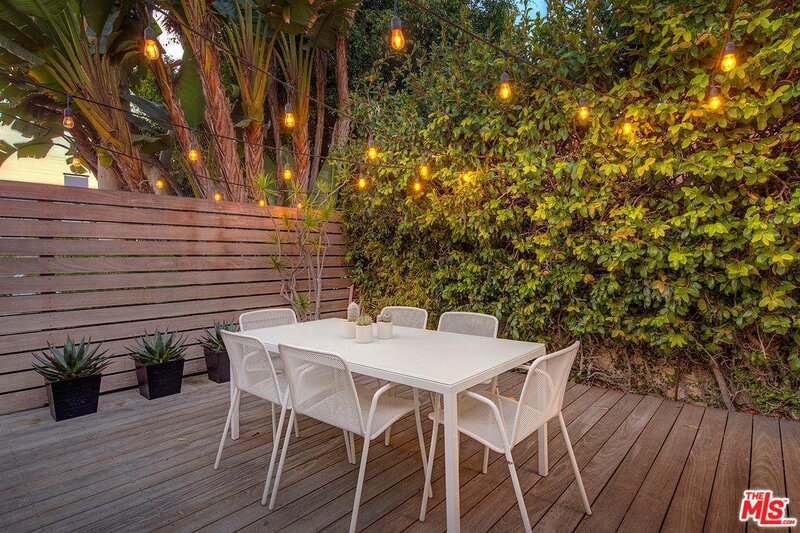 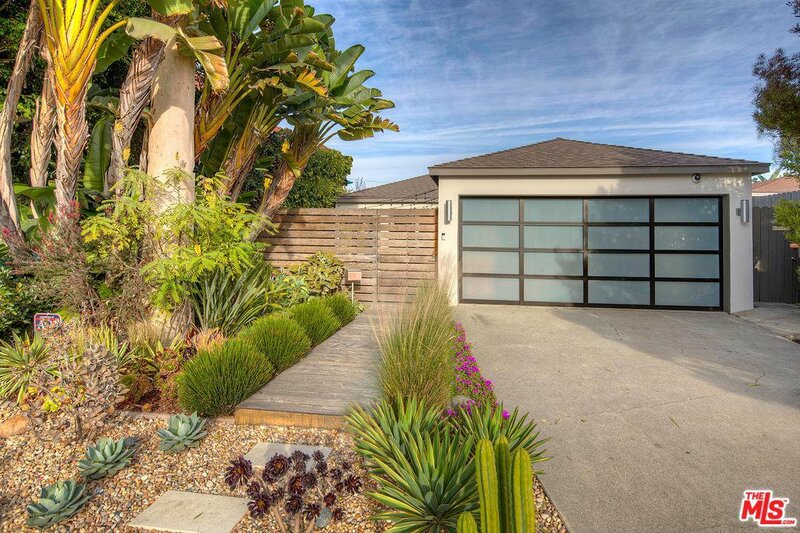 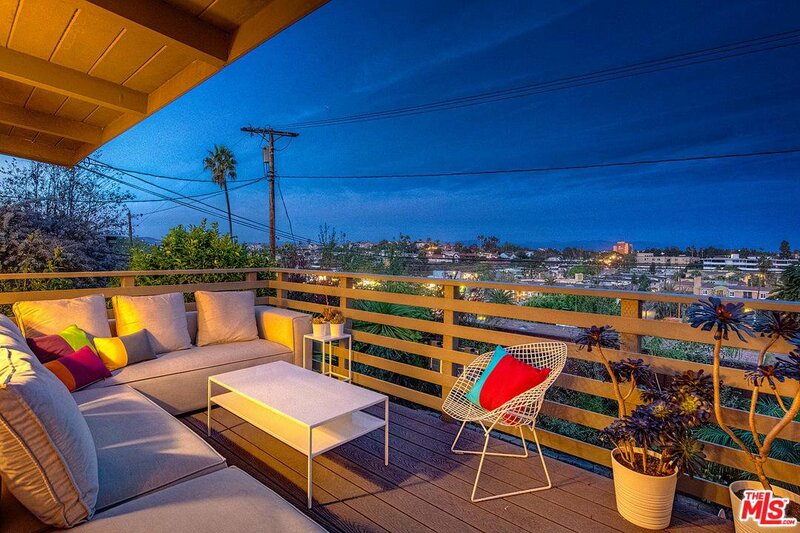 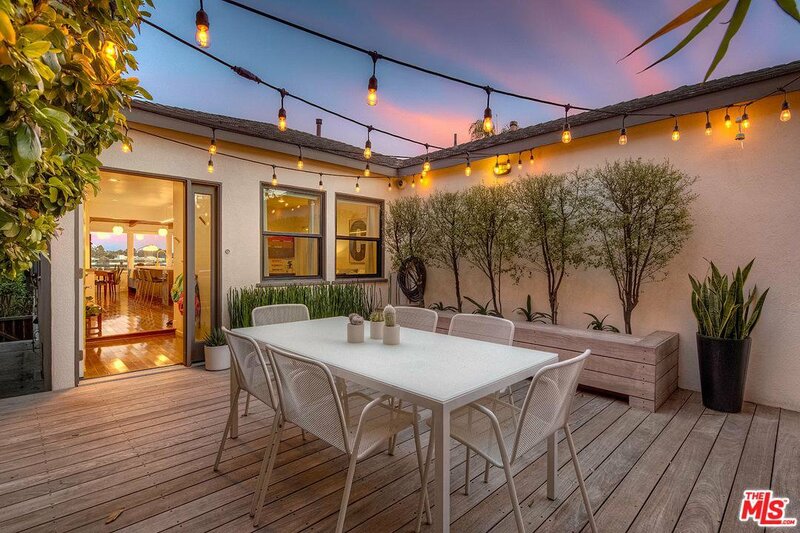 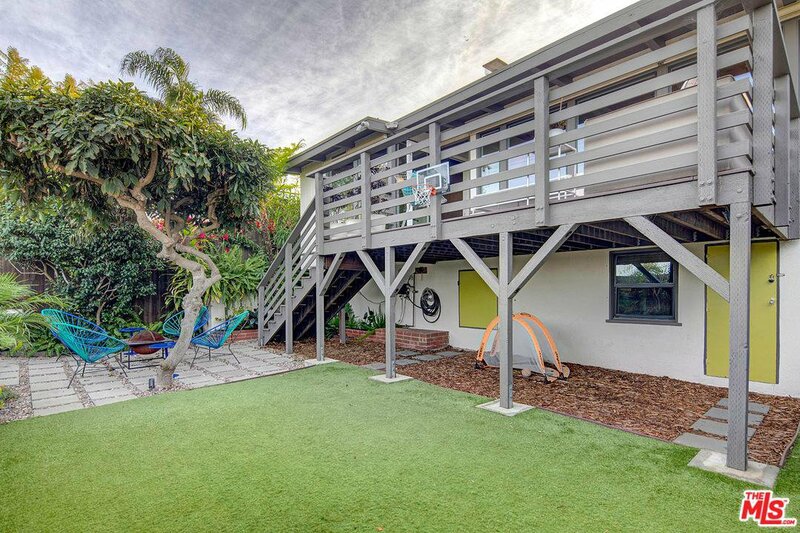 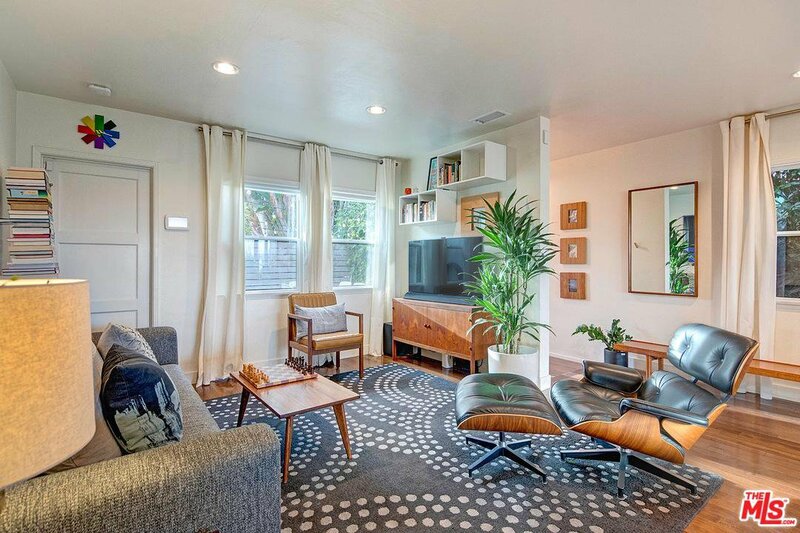 Silicon Beach's finest home on the hilltop, close to shops, restaurants & short walk to beach! 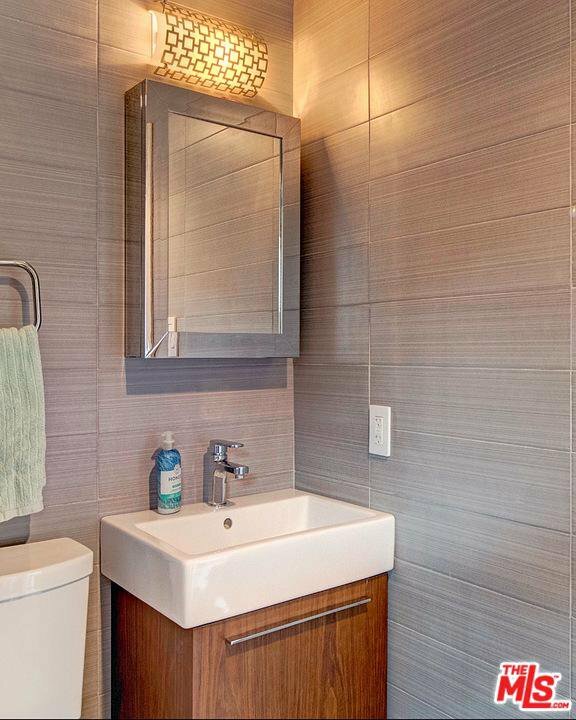 Courtesy of PLG Estates, Jessica Heredia - CA DRE#01349369 Selling Office: Halton Pardee and Partners, Inc..